Norwich has a long association with the Dragon, back to the 14th Century in fact. In Japan and China the dragon is a symbol of excellence, while in Europe it represents fire, fury and fighting spirit. Need we say more? Norwich Dragons are recruiting new players for next season, so if you want to join us, please click here to find out more. Email info@norwichdragonshc.co.uk for the latest forms. Annual membership fees (no extra charges for training) are £100 for the year (£60 for concessions*) these cover affiliation to England Hockey and the leagues, insurance, coaching by qualified coaches, coaching pitch hire and equipment as well as all other costs associated with running the Club. If paid after 30th September, the fee rises to £110 (£70 concession*). Match Fees £9 per game (£6 for concessions*), these fees cover match day pitch hire, umpire fees, teas and travel costs. Membership fees and Match Fees for Young Dragons hockey click here. 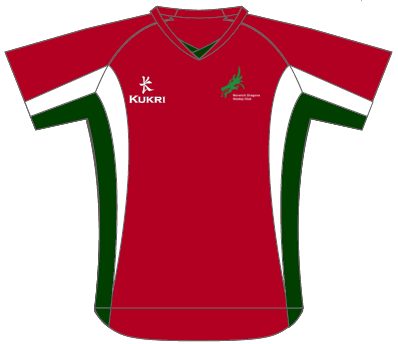 Men: Red and green shirts, black shorts, green socks. 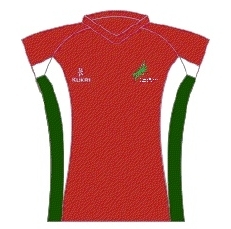 Women: Red and green shirts, green skorts/skirt, green socks. See the Club Shop for details of how to purchase our kit. We encourage and support our older youngsters to volunteer as part of the Duke of Edinburgh Awards scheme and/or to use hockey as the physical activity element of their Award, however we do insist on full commitment from those individuals to ensure they take responsibility for following our DofE requirements shown here.